This is for real. The picture above is of a cookie that is meant to look like a Louboutin. Seriously. 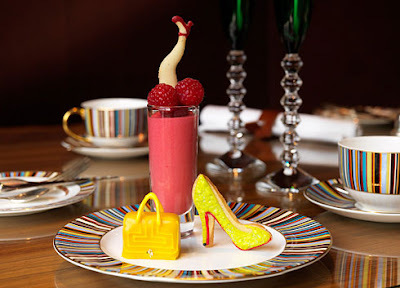 From February 13 to the 20th, Bergdorf Goodmand will be honoring New York Fashion Week by serving cookies, petit fours and other such desserts in their restaurant that are based on the designer collections being shown for Fall 2010. Designers who will be represented in sugar include: Chanel, Marchesa, Oscar de la Renta, Michael Kors, Thakoon and 3.1 Phillip Lim. That is gorgeous. Who could eat such artwork?